When it comes to design, I’ve always loved adding sudden accents to take a room or a corner to the next level. I’ve always been on the lookout for one-of-a-kind takes on everyday items, whether it’s furniture, hardware, lighting, or cabinetry style. In the following article, I’ll talk a bit more about the choice of trough bathroom sink and, precisely, why they are the perfect match for your bathroom décor. Are you one of those people who has always wanted to have two faucets and two washing basins placed cozily apart (like in a castle), but doesn’t necessarily have space for two independent bath vanities and sinks? 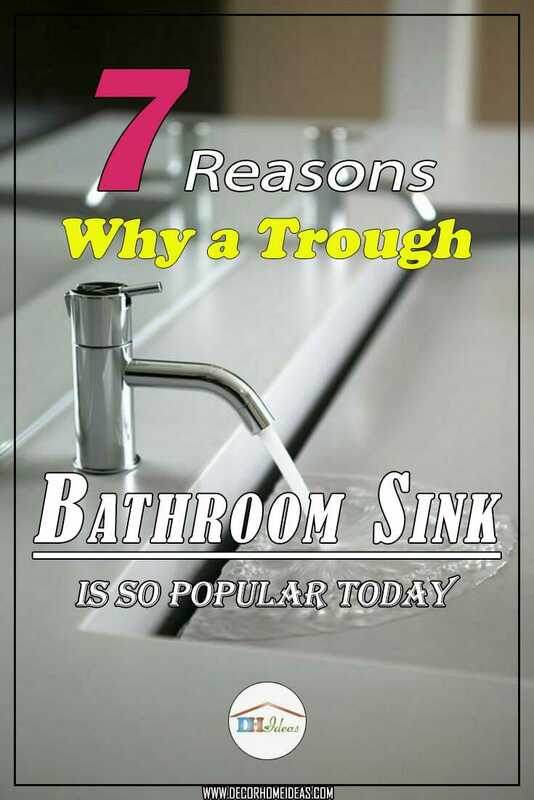 If the answer is yes, then the solution is to install a trough bathroom sink. It could be a great addition to any small bathroom that needs to look bigger. A trough sink could really change the appearance of your bathroom. The smooth shape of the trough sink is what makes the cleaning process so easy. Moreover, depending on the trough bathroom sink materials, the maintaining could be in some cases done only with some wipes and water. The copper bathroom trough sink, for instance, does not need anything more than a soap and water. Stainless steel and fireclay / chinaware are also very easy to clean as there are a lot of chemical products creates specially for those type of sinks. The trough bathroom sink and the classic sink differ in many aspects. The first one comes in a huge variety of colors, shapes, sizes. Trust me, it will make your guests envy you. The best thing is – you can order a custom made sink even though it could be a little more expensive. The design options with the custom made trough sinks are endless, you can boost your creativity and start sketching some ideas. It is thrilling to know that the trough bathroom sink at your home is almost as aged as time, having once served as practical feed troughs before finding its way into the kitchen as dry sinks during the pre-plumbing epoch. For instance, it used to be very popular in the small bathrooms of the 1940’s and 50’s, wall mounted trough sink’s washbowl and plumbing pipes to be attached to the wall, letting out the floor space underneath. Nowadays, you can apply this idea as an integral piece of your overall design schema, to your bathroom and bring a nice vintage vibe. Trough bathroom sinks evolved a lot in the recent years and you will be amazed at the modern designs that are on the market. 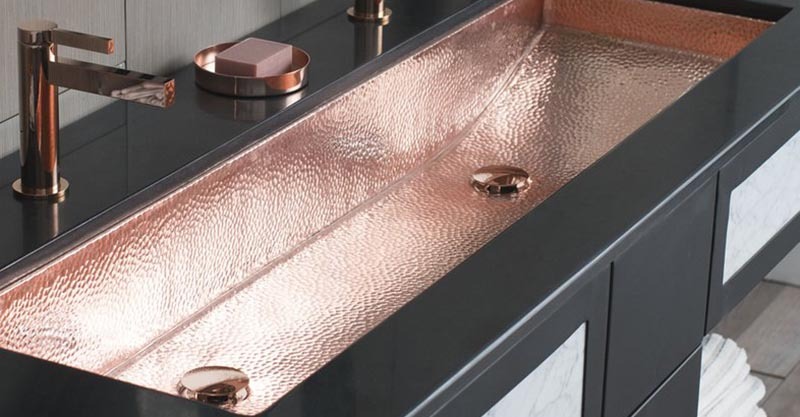 The stylish new look of the contemporary trough sink currently makes it gladly received in offices, bistros, fashion studios, and hotels – and really any place where there’s a crowd in need of being charmed. No matter if we talk about a concrete trough sink, a stainless steel trough sink, or any other material, this is the general trend. I bet you’ve seen them at the nearest mall or administration building. They could serve a lot of people at the same time and are easier to maintain by the staff, which means less cost for the owners. There are an endless assortment of shapes, sizes, and colors options to make your bathroom unique. 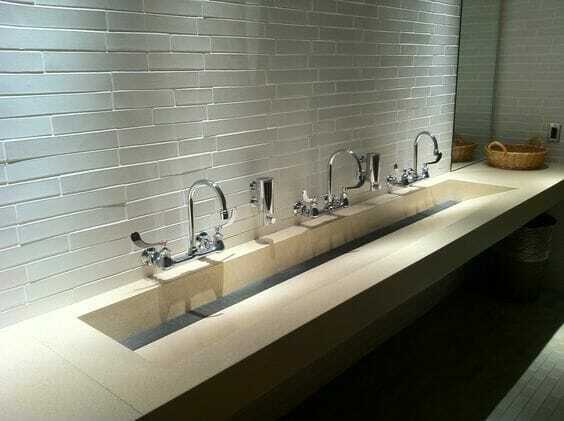 Moreover, you can choose between a single and a double faucet trough sink, depending on your budget and bathroom space. 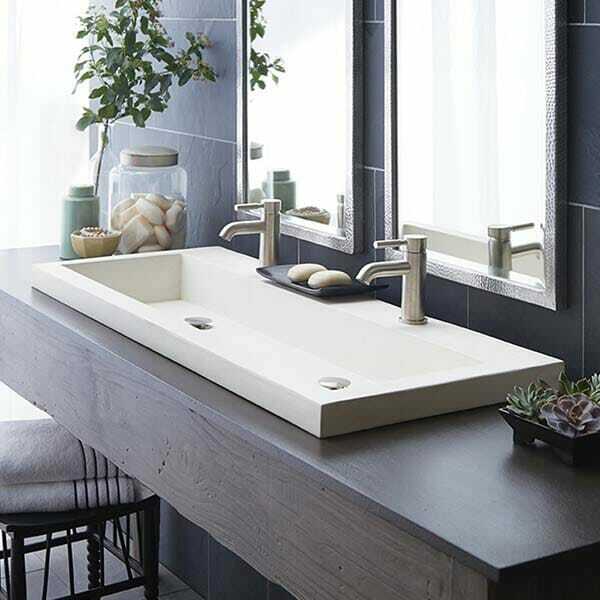 If you are not a risk-taker, choose a black, white, or wooden trough sink for a timeless look. 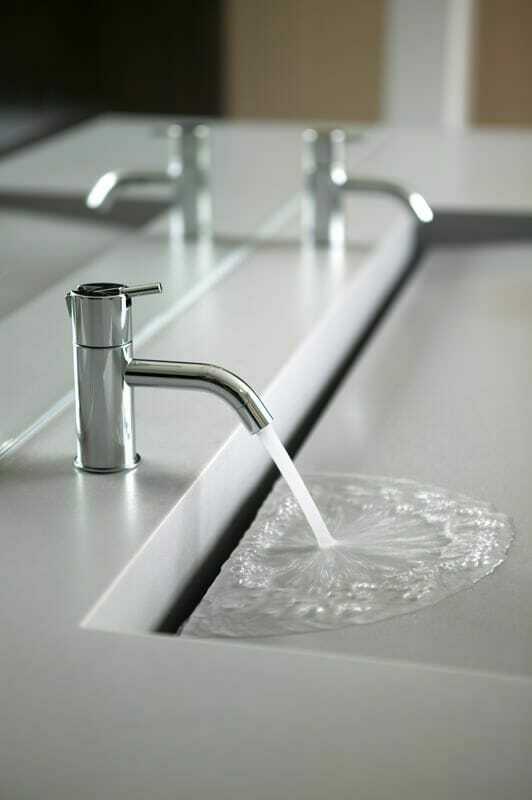 Apart from the standard models, the trough sink vanities offer the ability to customize every aspect of your project, including color, thickness, size, and sink shape. That means you will be able to find the solution that fits best your personality and the overall design at your home. 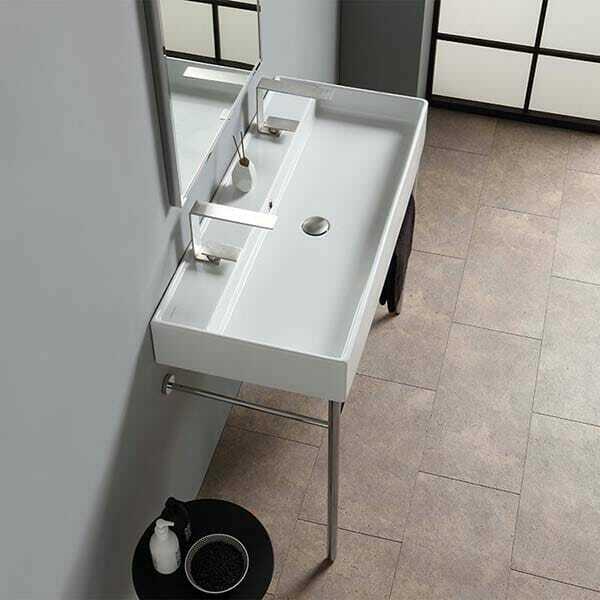 However, keep in mind that a notable trough vanity design requires a lot of planning and focus to detail. There are plenty of decisions to be made, from the material and style to the color of the double trough sink and the vanities.